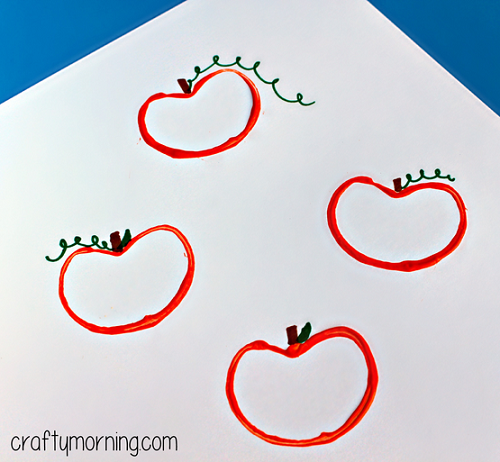 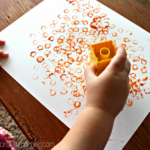 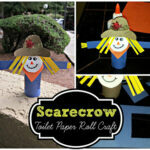 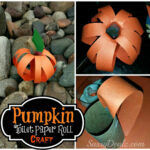 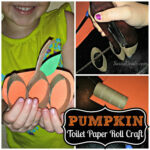 Have your kids make some cute little pumpkins using a toilet paper roll as a stamp! 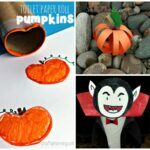 It’s a great art project for the fall season/Halloween that won’t break the bank! 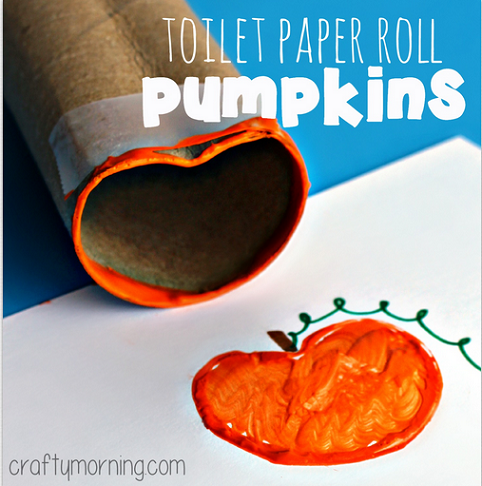 Start by bending the toilet paper roll inwards in the middle and tape it across. 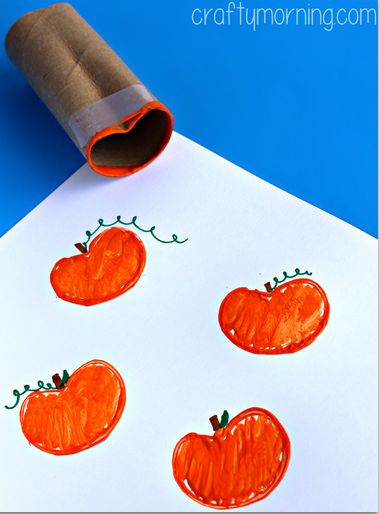 Dip it in orange paint and stamp it against a white piece of paper. 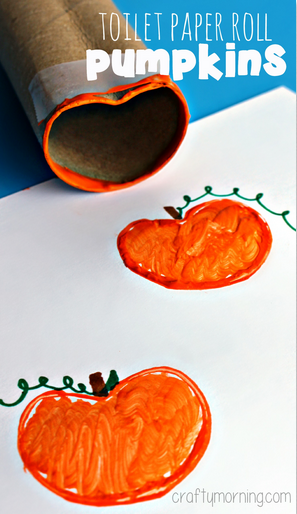 Draw on a stem and some vines with the markers then paint in the pumpkins with a paintbrush. 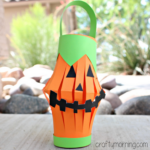 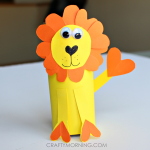 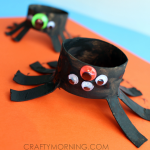 It’s the easiest Halloween craft you can do and they turn out great! 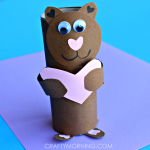 I did some like this but hearts for valentine’s day – super cute!